The advancements in technology have made it possible for business owners to graduate from the manual workforce and payroll management to automating both the functions, and thereby achieve the highest levels of accuracy, assurance of compliance, and also retain the interests of the employees as well as the stakeholders in the organization. Eilisys’s workforce management software and HR payroll software are customizable software products that relieve business owners and employee administrators out of the mundane administrative tasks of payroll and workforce management, thus leaving them more time and bandwidth to take care of the strategic ones. Here’s a blog that talks about the features of both these software products. Let us first ask a question! Who doesn’t need automation and technology in business? Most of the business owners would say, yes! And why not! Automation is something that simplifies a lot of tasks. Besides, when programmed in accordance with the standard operating procedures and compliance, it also offers accuracy, and moreover, saves time when it comes to managing time-consuming, repetitive and lengthy tasks. In simpler words, it helps business owners to utilize their resources for more productive and strategic tasks. The use of technology has a long-running impact on the organization’s reputation. Employees, and to a large extent, corporates as well prefer working with companies that deploy the latest technology and expedite all the major administrative tasks, to be able to offer quicker services. 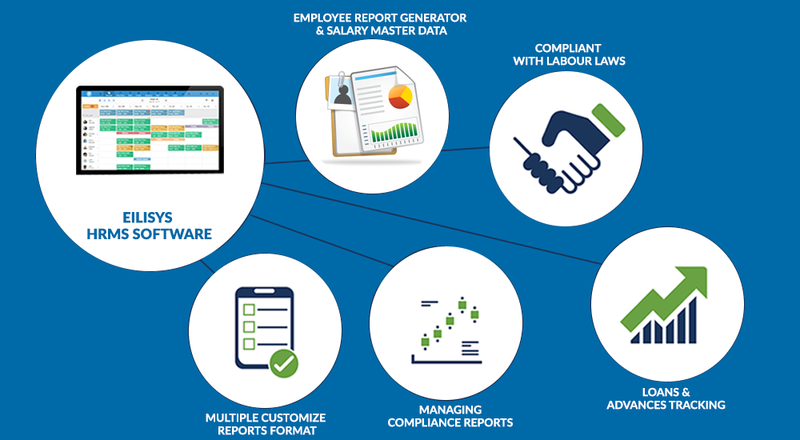 Here are some of essential features of Eilisys’s employee management software. Real-time data related to attendance, employee movements, and shift-schedule. Report designing tool to customize the reports and fetch them in multiple formats. Variation report for the transactions of the previous months. Extracting professional tax statement, provident fund reconciliation statement, income tax statement, ESIC statement, online challan, etc. For more information on Eilisys’s HR payroll software and workforce management software, get in touch with Eilisys at (+91) 20 6729 5300. Do you know what the great strategy for any business is? To save money wherever possible and maximize profits. And one of the ways to do so is to automate your system. 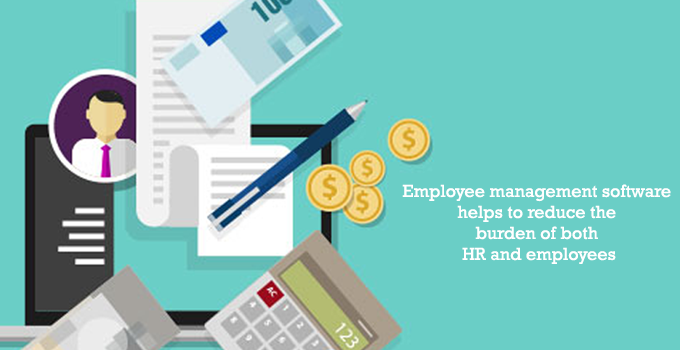 One of such critical and important area where automation can be done is the HR Payroll Management. We all know the importance of payroll management in an organization who has employees; it is the heart of the business and the most time-consuming process too. 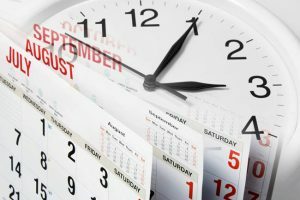 A minor mistake in the payroll processing yields too many hours of re-work, but thanks to IT advancement, that has solved the problem of processing of payrolls manually. The payroll data of any organization is very vital and its integrity needs to be maintained in the trusted hands which can be possible within the organization only. So, investing in the HR payroll software automation is the best option to go for. HR payroll software is a cost-effective solution for any business entity as manually managing the payroll is not only time-consuming but overbearing too. The window of error is always open when this activity is done manually. When the organization is not so big, in that scenario payroll team and HR are not only understaffed but over-burdened too, this leads more in-efficiency. Not having adequate automated software in place always put organizations at different risk. Reasons – Why You Should Get HR Payroll Software? Compliance is assured – All organizations are bounded to certain laws and regulations and in turn their processes too. The same applies to the payroll systems as well. As this is one of the complex processes where financial restrictions are stricter and no deviation can be expected like complying to financial regulations such as the Sarbanes-Oxley Act of 2003 is now being followed by all organization. So keeping the systems up-to-date and implementing the new set of rules and regulations becomes much easy with the automated HR payroll software system. And as all other systems are interconnected to each other like workforce management software and employee management software to the payroll system, then adjusting the changes at one location or on the master data can get easily replicated on others. Increased Benefit of Self-Service – If you have the Employee Management Software, many things for which employee runs after the HR person can be done by themselves and hence can easily get updated or reflected in the payroll data as well like the change in the bank account, addition or updating nominee, adding tax details, etc. Increased Efficiency – Investing automated HR payroll software not only allow you to accurately manage your payroll process with accuracy, no errors, less staff hours, and fast turn-around time but at the same time also allow your payroll staff and HR people to get engaged in other much productive activities, where they can planning and work on improving the skills of the employees basis the data received from workforce management software. Why Employee Management Software Systems is Critical for Any Organization? Employees also referred to as Human Asset, are the backbone or would say strong pillars on which any organization run. And it is very critical for the organizations to know how efficiently they’ll be used. But how the organization will do this, sometimes become a challenge for them, as doing this manually could be fine if the strength of your company is just 10-15 people but it will not be possible in case when employee’s strength is in thousands and they are spanned across different locations. Thanks to the IT technological advancements which brought some effective solution for this problem such as Employee Management Software or HR Payroll Software. It is necessary to have such systems in place to ensure that employee should remain engaged in the assigned tasks, can perform well to their abilities, and hence performance can also be measured. Employee management is not a simple task, implementing any employee management software system will also require a thorough understanding of each & every aspect of the organization and its various functional departments. 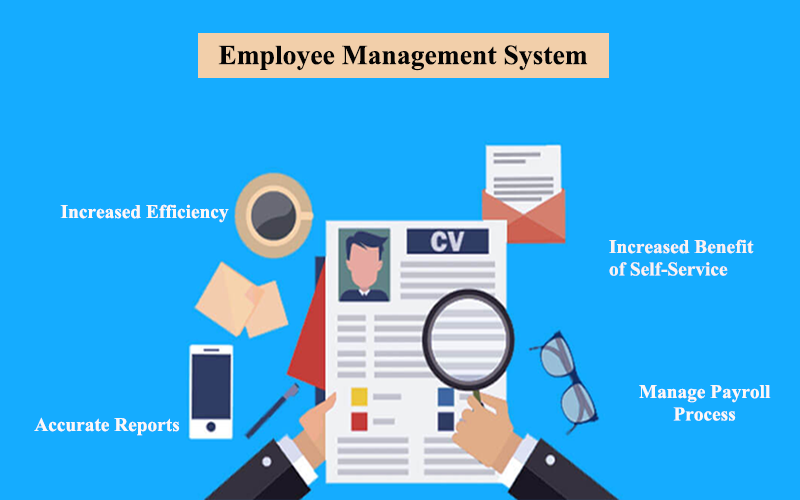 So let’s check why the implementation of an Employee management software system or HR Payroll Software is necessary for any organization and what benefits it can bring in after implementation. Employee Data/Details: Employees personal as well as professional details are kept here such as address, educational qualifications, emergency contact details, family, department or function in which they are working, project details, etc. Attendance & Time: Nowadays every organization has the Biometric attendance system to keep a track of the employee’s timings such as working hours, office in & out time, leaves, overtime details etc. This helps the organizations to process the payroll and track the performance of the employees. Attendance management System Pune provides the customized solutions for this. Self-service Portal- Employees self-service portal enables the employee to manage their personal as well as professional data. With this, they don’t need to run behind an HR person to get the pay slip, PF details, overtime details, tracking of leaves, attendance approvals etc. Organizational Updates & Notifications- In case an organization made new policy, want to introduce new employees, and has new company updates, and then they can do this through their Employee Management Software system or HR Payroll Software module, which make the communication across organization easy and timely. Task Assignment- This module helps you to assign the employees on projects, so that budgeting can be done and the working hours of the employee can be calculated. Appraisals & Performance Monitoring- When HR has all details pertaining to the employee like project details, number of working hours, attendance, project completion data, it becomes much easier for HR to track the performance of the employee and do the appraisals. Constructive feedback can be shared with employees on the basis of data available. It helps to the performance reviews in a much detailed way. Helps to motivate employees in both scenarios, if they are performing well then they can be encouraged more, and in case if they are not performing well, then a session can be taken with them to understand their issue and then motivating them to perform. Communication becomes more transparent and easy as sometimes due to workload and tight project schedules makes it difficult to communicate. Employee and reporting manager relationship also gets better as many things are already available in the system, which help the managers to assess the employee’s capability. And employees don’t need to provide clarifications and justifications. Employee management software helps to reduce the burden of both HR and employees, as many things are readily available in the modules which are easy-to-use, that makes the organization performance much effective. Technology covers almost everything. Workforce or what you call as human labor is no longer an exception to this powerful technology. Dragging the human resourced into its ambit helps the business organization to function efficiently. As your business functioning is now effectuated, it helps in increasing your business productivity by a considerable difference. While many of the well-established business organization might already have installed the workforce management software, the others still might not be familiar with this concept. One of the significant benefits of the workforce management tool is that you can evaluate the performance of your employees efficiently. Here, we shall be discussing the basics of your employee management software and how shall it benefit your organization. What is a workforce management tool or software? As the name suggests, workforce management (WFM) tool assists your business with its efficiency in staff schedule management. WFM tool helps you to gain quick visibility about your business metrics. For example, it facilitates you to calculate the average count of workers required for producing a particular product on a daily basis. How does your employee management software assist you in effectuating your entire business flow? Scheduling of the labour availability: Earlier it was not possible for the entrepreneurs or the seniors to deal with the exact number of the personnel required in the production process. Now with the WFM tool at your fingertips, it becomes essential for you to have a balance between your working force. It facilitates you to calculate your daily worker requirement. The new workforce can be utilized in other productive activities. Easy to integrate software: No doubt your workforce management tool helps in rendering an ample amount of benefits. Perhaps, it is not a complete solution for effectuating your business environment to a full extent. Depending upon the type of your industry, you might be using different software for other purposes. Some of the essential software present in the majority of the companies are HR payroll software, software for reporting production processing, and finally, the one that is meant for quality control. In such a scenario, it becomes essential for your WFM tool to integrate quickly with the existing software. Hence, the majority of the leading WFM tool manufacturers have emphasized on the introduction of easy to integrate WFM software to impart quick access to your business cycle. Automates the final stage of higher authority reporting: In today’s strong market competition, it is essential that the businesses have the majority of their processes automated. Automated working processes helps the firms to gain competitive supremacy. 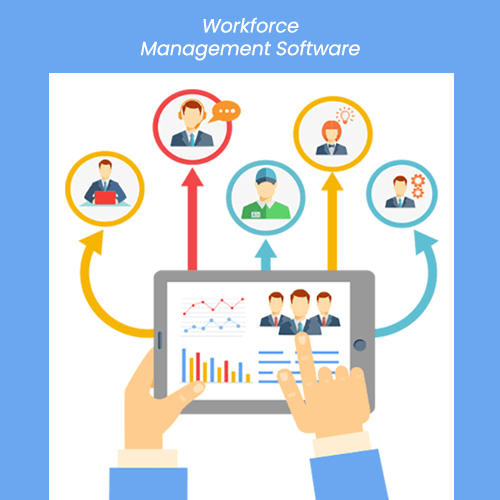 We all know that the introduction of workforce management software helps in generating an in-depth business data for ease in reviewing process. What is still left to be unveiled is its automatic dissemination of these business-related data to the manager. Now, managers can view the automatically generated reports without the interference of any person from any department. This automatic dissemination further assists in maintaining the confidentiality of the business data and prevents it from the wrath of manipulation.